The Lynchburg Historical Foundation invites you to enjoy an afternoon touring four homes on Woodland Avenue on Sunday, September 24 from 1 to 4:30 pm. Tickets are $20 and are available at the Lynchburg Visitor Center, lynchburgtickets.com and at the Lynchburg Historical Foundation office. 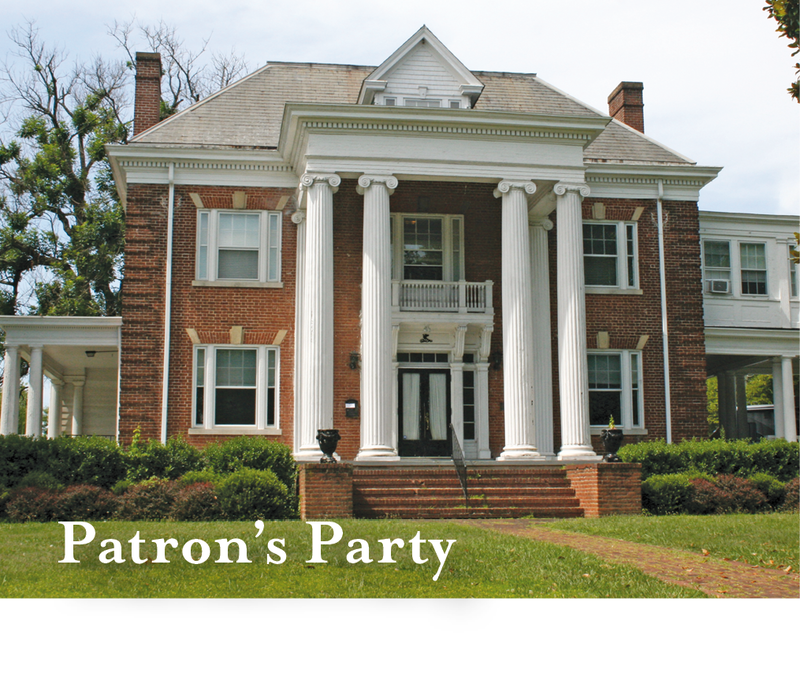 A Patrons’ Party will be held that evening at 1919 Rivermont Avenue from 6 to 8:30 pm; tickets are $75 and reservations are required. Partygoers will have the opportunity to tour this home as well. 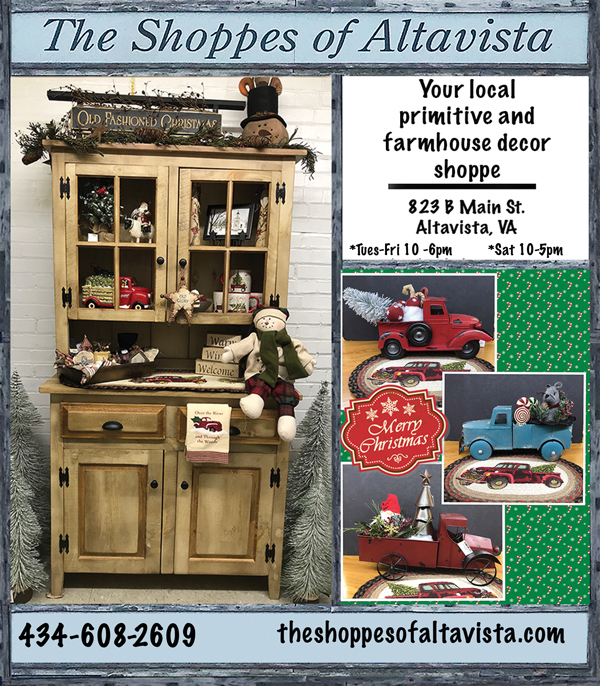 For more information, contact the foundation at (434) 528-5353. Here, enjoy a sneak peek at the homes on this year’s tour. 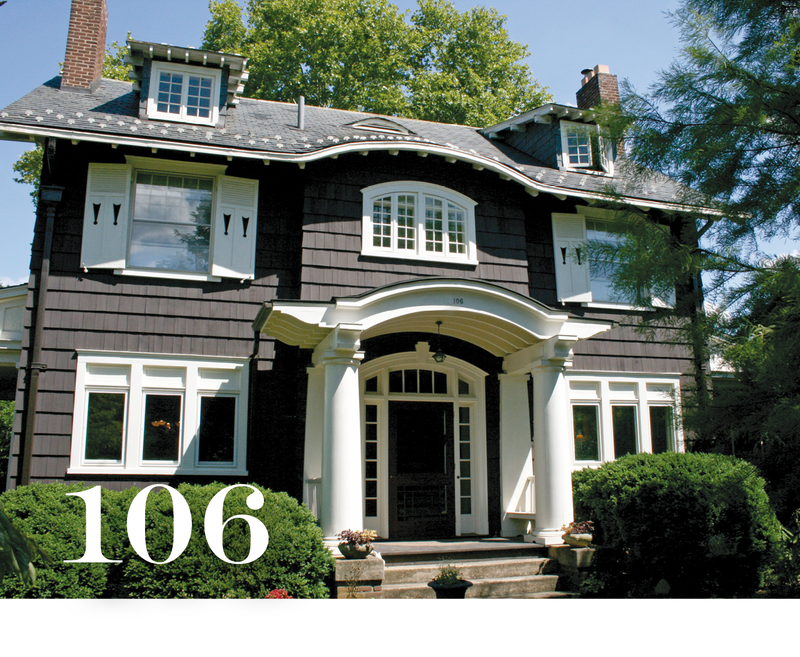 In 1912, Robert Gordon Bailey purchased the lot at 106 Woodland Avenue and built a home for his new bride, Olive Martin Bailey. She was a student at Randolph-Macon Woman’s College and during their courting days they would sit at the “top of the hill” and look out to the Peaks of Otter. Olive had once said, “If I ever build a house, I’d like to build it right here.” It was designed by architects McLaughlin & Johnson during the time when Stanhope Johnson was mastering his Colonial Revival style, so there are many elements of this style present in the home. It has been meticulously maintained over the years and the original footprint is still intact. Current owners Margi and Rob Vaughan, who purchased the home in 2005, have added a deck and completely renovated the backyard landscape, adding a circle garden, a vegetable garden and a place for Margi’s honey bees. They also renovated the kitchen in 2007, creating an updated open concept kitchen/living space. This house was one of the first three homes built on the Avenue. Mr. Sackett was an attorney and real estate developer and Vice-President of Rivermont Realty Co. When building this house, Mrs. Sackett copied many designs of her family home on Federal St., The Norvell-Otey House, including the twin mantels in the living and dining rooms, the elliptical and side lights are the front door, and the front staircase and banisters. J.M.B. Lewis was the designer and builder. The house was built in the old way of solid masonry construction; the outside walls are solid brick with plaster applied to the brick instead of brick veneer, which was the later custom. Shortly after they moved in, the Sackett’s finished the east end of the third floor attic as an apartment for Mrs. Sackett’s maiden sister, Edith Spotswood Otey, who was the neighborhood baby sitter and well known to all who grew up in the neighborhood. Mrs. Sackett was one of the founding members of St. John’s Church where she taught the kindergarten Sunday school class, sang in the choir; Miss Otey was also active with the church youth. On the Avenue, Miss Otey was well known and popular. She had a rock garden surrounding the oak tree closet to the main sidewalk (removed 2014) and would chase away young intruders with a broom. During World War II she hoarded rationed goods in a third floor closet and when someone needed a hard-to-get item; she was always willing to share. Chickens were kept under the kitchen steps in the back of the house. The original lot extended to what is now Kensington Ave. The upper section was a yard, the middle section was for flowers and vegetables, and the lower section was orchard with cherry, apple, and pear trees. Later, Sally Sackett Walker (Austen) formed a lot from the orchard and built her home facing Kensington Ave.; earth and stone pathways connected the two houses. Mr. Sackett planted elm trees along both sides of the street that eventually formed a graceful arch over the Avenue. Mr. Sackett died in 1929; Mrs. Sackett lived in the home until her death in 1971. Paul and Sandra Whitehead lived here for nearly 40 years. Paul was a judge in the General District Courts of Lynchburg and Amherst County, Sandra was a teacher and artist. 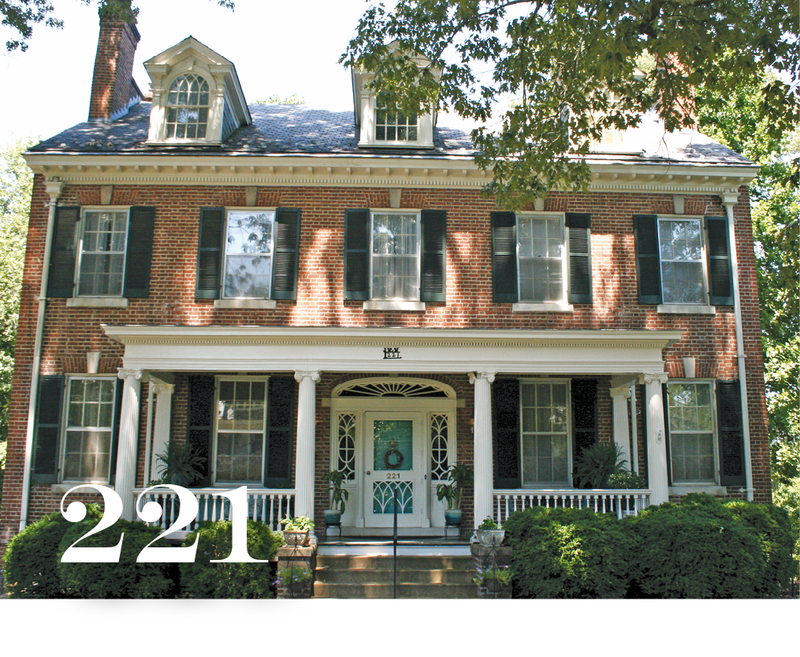 The Gregory Family moved from 222 Woodland Ave (yes across the street) after 13 years, which was on tour in 2005, for a larger home that was still in their beloved neighborhood. They have updated the kitchen and all 6 bathrooms. Moved the basement laundry facilities to the 2nd floor sleeping porch and all rooms/foyers have received new wall/trim paint. Many trees and shrubs have been removed to open up the yard to accommodate the many varieties of flowering plants that have been planted over the years, now the yard has erupted in color from peonies, crocus, daffodils, roses and St. John Wort. 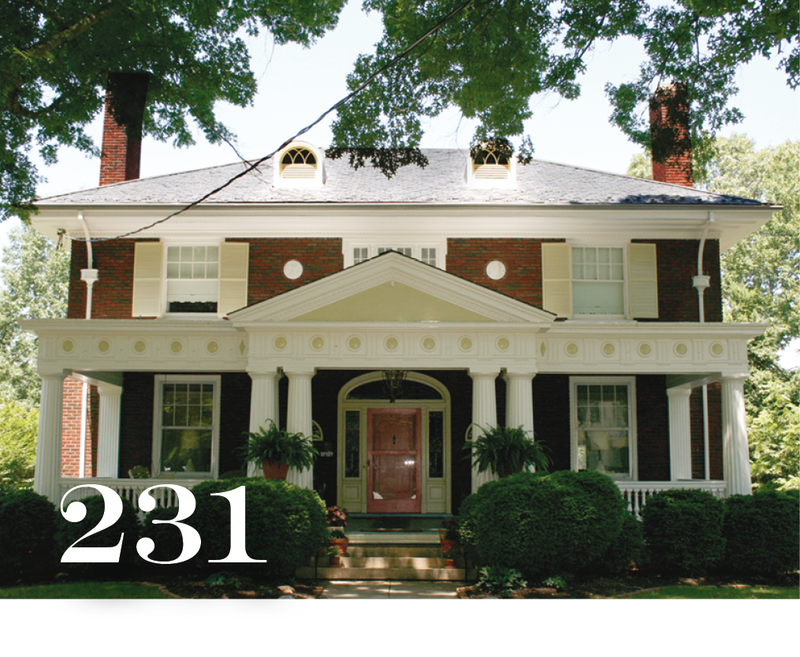 Built in 1925 by William McLaughlin, this American foursquare displays such elements as columns across the front, a robust front porch, and the traditional foursquare floor plan. The property has been owned by some notable Lynchburg locals: contractor John Cesafsky (who specializes in historic restoration); the Moseleys, owners of the local Terrell E. Moseley Inc. (heating & AC business); and Mr. & Mrs. James T. Davis III (Jimmy is the grandson of the notable James T. Davis, who started James T. Davis Paint Center). The current owners, Sarah and Jim Barger, have restored the front porch and made several improvements to the backyard, including a new in-ground pool, pool house, garage and patio. 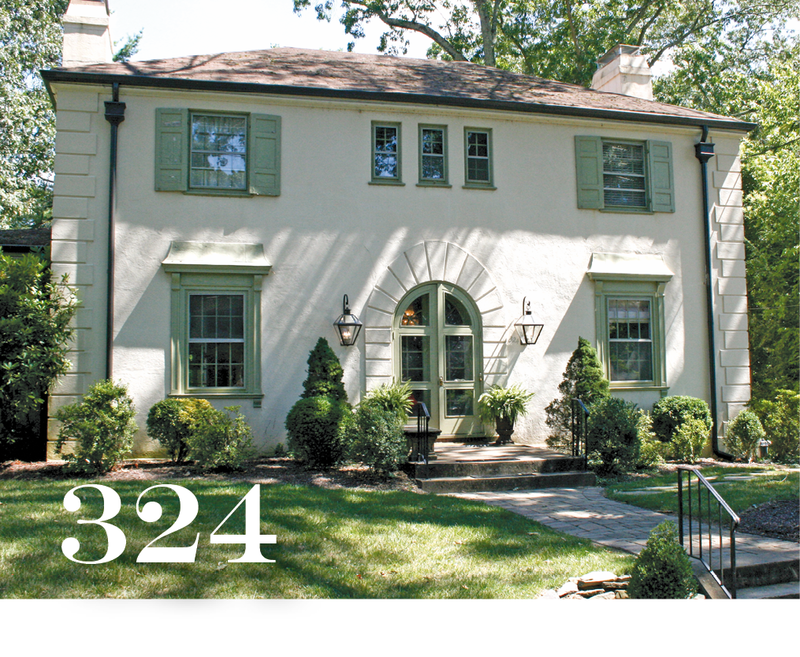 Brittany and Nicholas Sydnor purchased the home at 324 Woodland Avenue in 2012. Built in 1925, the home is located on land that was part of the city’s annexation of land in 1908. This residence had only two owners in its first 80 years, the fewest of any home on Woodland Avenue. It is a two-story stucco with a hip roof and includes a masonry porch and brick patio in the rear. The original entrance included a beautiful arched entrance with a cathedral door. Unfortunately, when the house was finished it was discovered that the entrance door wouldn’t open because of design error; one door was cut off to allow access to the house. The home was sold in 1968 to Dr. Frank and Mrs. Shirley Hobbs who made many renovations and additions—including a new arched entrance. The Sydnors note that the home still echoes much of their personality and many years of loving care. The home at 1919 Rivermont Avenue was originally built in 1907 by Charles Scott Adams, a successful businessman and tobacconist. The current owners, Jennifer Woofter and Bill Bohn, purchased the home and moved their family—two children, two dogs and three cats—from the hectic pace of Washington D.C. in 2014. This Colonial or Southern phase of the Georgian Revival has remarkably kept many of its original assets and fortunately all of its character. The home has seen many changes in 111 years, the most memorable being part of the facility of The Virginia School of the Arts and used as a dormitory and classrooms and was known as Seven Hills School. While maintaining many original features—pocket doors, millwork, five fireplaces and more—the home recently received a major kitchen renovation.